Bob Dylan ( Robert Allen Zimmerman) was born in 24 May 1941. The famous American singer, songwriter, artist and writer has been influential in popular music and culture for more than five decades. Much of his most celebrated work dates from the 1960s when his songs chronicled social unrest, although Dylan repudiated suggestions from journalists that he was a spokesman for his generation. Early songs such as “Blowin’ in the Wind” and “The Times They Are a-Changin” became anthems for the American civil rights and anti-war movements. Leaving his initial base in the American folk music revival, Dylan’s six-minute single “Like a Rolling Stone” altered the range of popular music in 1965. His mid-1960s recordings, backed by rock musicians, reached the top end of the United States music charts. Dylan’s lyrics have incorporated various political, social, philosophical, and literary influences. He has amplified and personalized musical genres. For 50 years, Dylan has explored the traditions in American song—from folk, blues, and country to gospel, rock and roll, and rockabilly to English, Scottish, and Irish folk music, embracing even jazz and the Great American Songbook. Dylan plays guitar, keyboards, and harmonica. He has toured steadily since the late 1980s on what has been dubbed the Never Ending Tour. He is succesful as a recording artist and performer, but his greatest contribution is considered his songwriting. 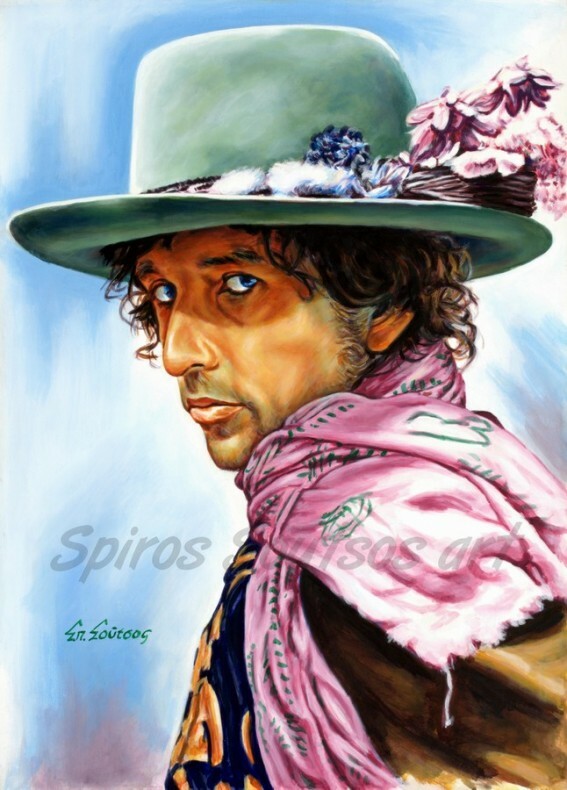 Since 1994, Dylan has published six books of drawings and paintings, and his work has been exhibited in major art galleries. As a musician, Dylan has sold more than 100 million records, making him one of the best-selling artists of all time; he has received numerous awards including Grammy, Golden Globe, and Academy Award.